Since he was elected President of the United States of America in 2016, it’s safe to say that Donald Trump has pissed quite a few people off. 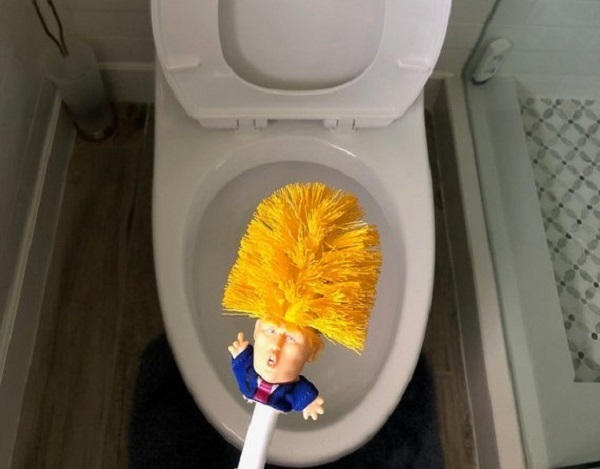 So we reckon that this Donald Trump toilet brush is going to be an absolute with a lot of people… The website Etsy is selling the Trump-themed toilet brushes for the cheap cost of €21.40, which is a small price to pay if you ask us. And just in case you think that these won’t sell particularly well, this message on their website would suggest otherwise. It reads: “NOTE: Due to the overwhelming response we have received we are currently looking at a 6-8 week arrival time for orders placed after 8am on 15 November. “Please keep in mind I make these by hand and I want to thank everyone for their order and their patience.” The toilet-brushes are made in New Zealand, and yes, they do ship to Ireland.